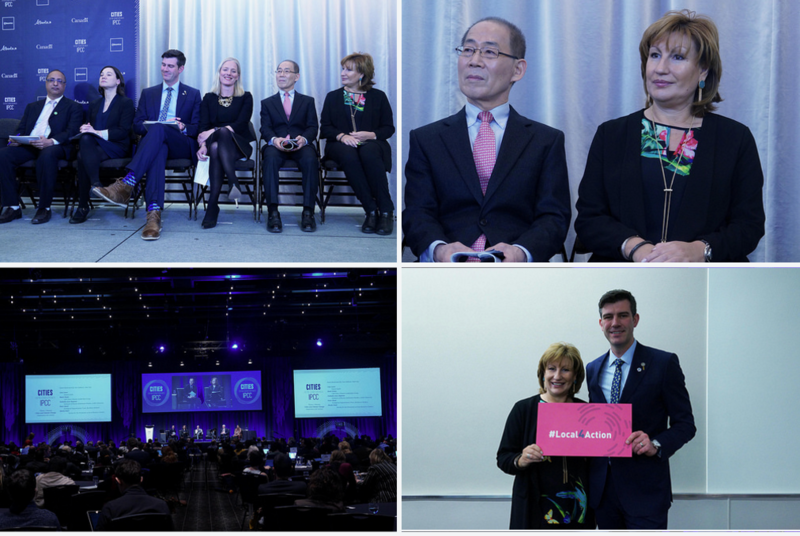 From 5th to 7th March 2018 the CitiesIPCC Cities and Climate Change Conference took place in Edmonton, Canada. The three days conference brought together scientists, policy makers and practitioners to inspire the next frontier of research to advance the global understanding of climate change. CitiesIPCC was a key milestone as for the first time the Intergovernmental Panel on Climate Change (IPCC) – the leading international body for assessing the research related to climate change – put the focus on the role of cities in curbing climate change. The conference helped to enhance understanding of the effect of climate change at the urban level and to showcase the vital role of cities and local and regional governments in the adaptation and mitigation process. The conference commenced on the 5th March with a global call for collaboration. In a press conference, Don Iveson, Mayor of Edmonton, Emilia Saiz, Secretary General of UCLG, Shannon Phillips, Alberta Minister of Environment and Parks, Catherine McKenna, Canada’s Minister of Environment and Climate Change, Hoesung Lee, IPCC Chair and Shobhakar Dhakal, Head of the Department of Energy, Environment at the Climate Change Asian Institute of Technology in Thailand urged for a global and collaborative research agenda that empowers cities around the world to implement solutions based on scientific, technical and policy knowledge. The day followed by the Plenary on Urban emissions, impacts and vulnerabilities introduced by Debra Roberts, Director of the Environmental Planning and Climate Protection Department at eThekwini Municipality, who put the focus on the role of urban practitioners. “If we are truly serious about protecting billions of people around the world the climate change science is a critical new tool for the urban practitioner of the 21st century. The challenge for the urban practitioner is to be an agent of change to respond to the needs of the city of the future” she added. There needs to be a structural dialogue between the scientific community, policy makers and urban practitioners. Local and regional government networks, as UCLG, play a vital role in addressing the knowledge gap and the miscommunication between the scientific community and the policy level. 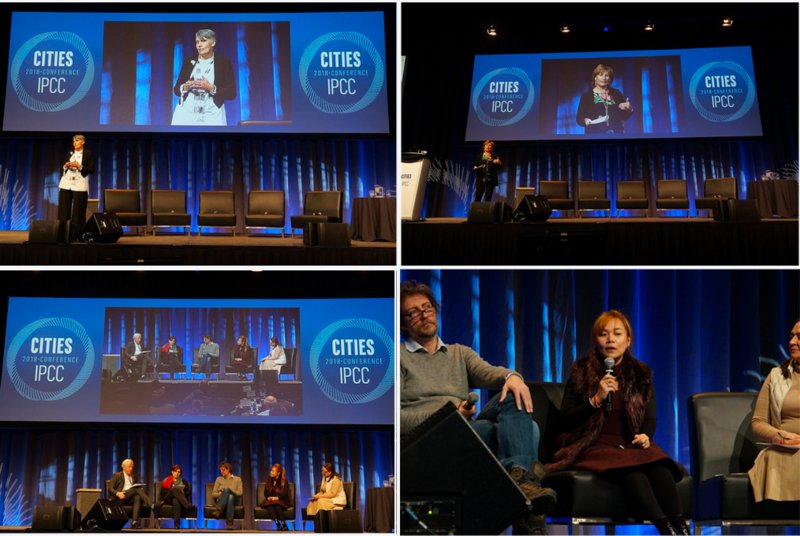 CitiesIPCC Conference has been an unprecedented moment providing a space for dialogue, not only among the research community, urban practitioners and policy makers, but also among local and regional government networks. On the last day, the major local and regional government organizations -UCLG, C40 and ICLEI- together with, Cities Alliance, Future Earth, Sustainable Development Solutions Network (SDSN), the Urban Climate Change Research Network (UCCRN), the World Climate Research Programme (WCRP) and two United Nations agencies (UN-Environment and UN-Habitat), released the joint statement: The science we need for the cities we want: working together to implement the global research agenda on cities and climate change putting special emphasis on medium sized cities and informal settlements. CitiesIPCC partners committed to move forward and implement the global research agenda and to strengthen partnerships among the three communities for a more effective research on climate action at all levels of government. "CitiesIPCC has been a unique journey of collaboration among all communities. Local and regional government organisations now have the responsibility to help identify key gaps of research, in particular for medium sized cities" mentioned Emilia Saiz, Secretary General of UCLG in her intervention during the press conference. The day continued with the parallel session on Informal Settlements and Economies: Means for Transformative Climate Action. Jean Pierre Elong Mbassi, Secretary General of UCLG Africa; William Cobbet, Director of Cities Alliance; Sheela Patel, Chair of Slums Dwellers International; Kabir Arora Coordinator of Alliance of Indiance Waste Pickers; Gale Rigobert, Minister of Education, Innovation, Gender Relations and Sustainable Development of Saint Lucia and Filiep Decorte, Director of UN-Habitat New York Liaison Office focused on the challenges of informality and the need to rehumanize the city. “The scientific community should recognize the innovation that arises from the slums dwellers. The most important asset we have in the cities are the people and we have to see them as an opportunity to solve problems” argued Jean Pierre Elong Mbassi, Secretary General of UCLG Africa. Sheela Patel, Chair of Slums Dwellers International added, "there is a lot to learn from the collective behaviour of involving all communities and assisting each other. When communities get organized they produce the transformation that is needed." CitiesIPCC has shown a clear engagement among all communities and has strengthened the role of local and regional government networks as key actors in climate action. Thus, it has allowed for the definition of a global research agenda that recognizes the knowledge generated by urban actors. Concluding the conference, Don Iveson, Mayor of Edmonton, emphasized the need of educating the future generations on what is at stake on climate change and stated "actions take place at local level, when scientists and cities work together we will be able to act globally to combat climate change." Now it is time to move from propositions to actions and crystalize the next steps.